Dr. Arp was born in 1924, a distant cousin of the French painter Jean Arp. He studied at Caltech, and as a graduate student he specialized in the study of distant galaxies. Arp became a technically excellent photographer of galaxies. He received his Ph.D. in 1953 and joined the staff of Caltech's Mount Wilson and Palomar Mountain observatories. This gave Arp the opportunity to work with some of the largest telescopes in the world, including the 200-inch Hale Telescope. Arp became especially interested in galaxies that have a unusual or abnormal shapes. He felt that by studying the peculiar galaxies, we could understand how galaxies form and why most of them fall into the elliptical or spiral shape classes. 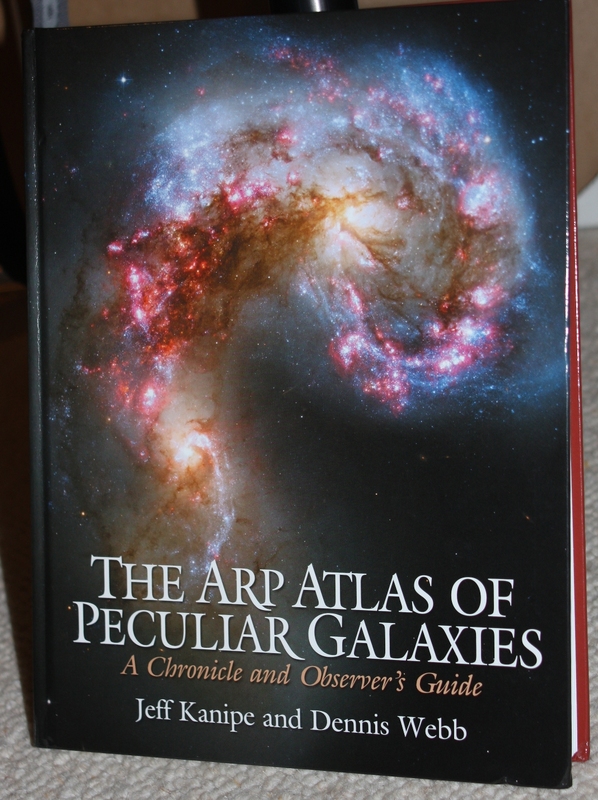 In His own words - "The over-all aim of this Atlas is to present a number of examples of various kinds of peculiar galaxies. They are presented in groupings that appear roughly similar, thereby furnishing a rough, initial classification. Phenomena which each group represent may then be investigated by picking the most favorable members in size or brightness, studying different members of the group in different orientations, and, finally, making some preliminary statistics of certain kinds of phenomena and their relationship to other observable parameters. It is hoped that this investigative procedure will not only clarify the workings of galaxies themselves but will also reveal physical processes and how they operate in galaxies, and ultimately furnish a better understanding of the workings of the Universe as a whole." The images on the following pages were taken with a C6 telescope on an NEQ6 mount, with a WOZ 72 guide scope, with exception of Arp 153 and 154 which are below my horizon and were taken with a remote telescope. My main camera is an SXVR H9 and my guide camera a co-star. All images were captured in Astro art and processed in photoshop. My guide to finding the objhect was the Atlas seen opposite by Webb and Kanipe.